Jeremy Page was born in Folkestone in 1958. He has lived in France and Italy, and spent many years in London before moving to East Sussex. He now lives close to the South Downs in Lewes and teaches at the University of Sussex. His poems have appeared frequently in magazines and anthologies and he has published three pamphlet collections, Bliss (Crabflower Pamphlets, 1989), Secret Dormitories (Crabflower Pamphlets, 1993) and In and Out of The Dark Wood (HappenStance, 2010), and two full collections, The Alternative Version (Frogmore Press, 2001) and Closing Time (Pindrop Press, 2014). He was a featured poet alongside Robert Etty, Giles Goodland, Geoffrey Holloway, Sophie Hannah and others in Kate Pemberton’s anthology The Silent Key (1997). He has read at numerous venues including Lauderdale House (with Judith Kazantzis and John Weston), 106 Piccadilly (with Marita Over and Michael Swan), the Troubadour (with James Brockway and Myra Schneider), Folkestone Library (with Peter Reading), Shoreham Airport (with Michael Bartholomew-Biggs and Jackie Wills), the Dulwich Festival (with Hugo Williams and Helen Mort), the Chiddingly Festival (with John Agard, Grace Nichols and Catherine Smith), the Cheltenham Poetry Festival (with Anna Saunders) and the Limerick Cuisle (with Fred Johnston). I like this book. It talks to me in conversational – sometimes quite confidential – tones about memories, relationships, bereavement and the small oddities of life. And as it shares its narratives, observations and speculations it does so deftly and economically, with wit and employing freshness of language. It does not bore me or exclude me by self-absorption. The (mostly quite short) poems say what they have to say, say it well and then move on. Deftly juxtaposed with the touching detail and sound-patterns of ‘Shaving my Father’ are moments of understated humour and incongruity, even tragi-comedy: a Magrittian explosion, a grandmother watching wrestling on tv, his being mistaken for Elton John. An enticing evocation of seaside resorts in and out of season, and a clutch of unpredictable encounters, provide a wide range of pleasures – if with the threat of snowfall, and longing, never far away. Page is unclassifiable, springing chameleon-like between identities. His poems are knowing, referential, but reliably rich in imagery, fun and emotion. This volume … rather triumphantly shores a great deal against ruin. why home is where we start from. Closing Time might illustrate great pain, but it’s packed with life and is written by a poet who never falls back on facile devices to move us. I feel privileged to have had the chance to review it. 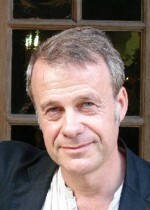 He has edited and co-edited several anthologies, including Frogmore Poetry (1989, with Antony Powell), Decade (1996, with Kate Pemberton), Poetry South East 2010 (with Catherine Smith) and Poems from the Old Hill (2012). In 2015 he co-edited an anthology of life writing, True Tales from the Old Hill with Rachel Cole. Since 1983 he has been editor of The Frogmore Papers and since 2010 co-editor of the online journal morphrog.